Today, Twitter India announced that it would be launching season 2 of #RanveerOnTheRoad which follows celebrity chef Ranveer Brar as he explores local flavours and spices in a particular region. Season 2 will see Chef Brar travel through the Seychelles and tweeting his experience. Ranveer On The Road is a short form narrative Twitter video series which has Chef Brar – one of India’s most followed chefs – uploading bite sized videos on Twitter as well as tweets about his culinary experiences. Last season focused on Australia and this season will look at him looking at the seaside, farms, gardens and native Seychellois kitchens. 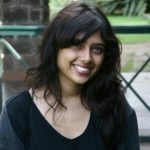 Similarly, Keya Madhvani the Head of Music and lifestyle partnerships at Twitter India said “Twitter is all about what’s happening around the world. Food unites people from all around the world and the same is true on Twitter. first season of #RanveerOnTheRoad generated a lot of interest in travel and food in Australia and we’re pleased to collaborate with Chef Ranveer and Seychelles Tourism this time to showcase Seychellois culture. After tweeting out the launch episode (which will be aired on Twitter tomorrow), Brar will go live on Periscope to answer fans questions and share insights about the episode. #RanveerOnTheRoad will launch on Thursday 25th May at 11 am and then air twice a week on Tuesdays and Thursdays at the same time. Paula Deen extends Christmas wishes – Well, somewhat.